(14508, Mike Williams Collection, OHS). (23388.79, Chisholm Trail Historical Museum Collection, OHS). The seat of Jefferson County, Waurika is situated on the 98th Meridian, immediately northwest of the intersection of U.S. Highways 81 and 70, and 106 miles southwest of Oklahoma City. Waurika became the seat after a county election in 1912. Prior to the town's founding, the 98th Meridian separated the Chickasaw Nation from the Comanche, Kiowa, and Apache Reservation. Waurika was established when the reservation was opened for settlement on August 6, 1901. Waurika, an American Indian word meaning "clear (or pure) water," was incorporated in May 1903. The first elected city officials were sworn into office on May 8, 1903, with C. A. McBrian as mayor. The first building on the townsite was a homestead cabin belonging to James McGraw, who had come from Burlington, Iowa. The first train stopped in Waurika in January 1902 after the Chicago, Rock Island and Pacific Railway superintendent designated the town as a flag station. For many years the railroad was important to the community, transporting cattle, hay, and cotton to market. Approximately three thousand people attended the initial town lot sale on June 18, 1902. As Waurika grew, so did the number of its schools. In 1902 the first school was built on Beaver Creek in west Waurika. Neoma Helm of Walters was the teacher. 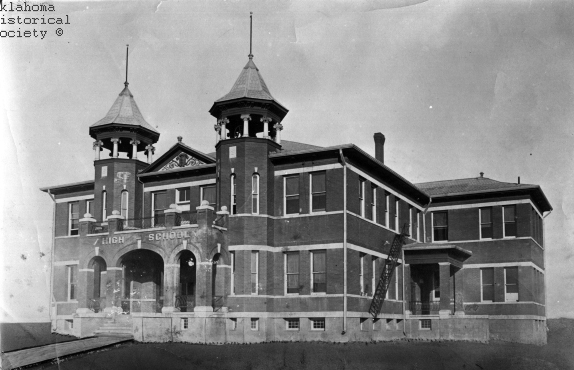 Irving Elementary later served the west side of town, and those on the east side attended Hillcrest Elementary. Waurika's junior and senior high schools were located on D Avenue. Dunbar School, a separate school for African Americans, was built in northwest Waurika. Presently Waurika Elementary, Waurika Junior High, and Waurika Senior High are located in the northeast section of town. Most of Waurika's churches were founded before statehood. They include the United Methodist Church, organized by six families in 1904, and the First Baptist Church, also established in 1904. The latter originated as a small frame building near Beaver Creek, but it has been relocated to 325 East C. The First Presbyterian Church, built in 1905, is a landmark listed in the National Register of Historic Places (NR 02000175). Other Waurika properties in the National Register are the Jefferson County Courthouse (NR 84003065) and the Rock Island Passenger Station (NR 02000173). 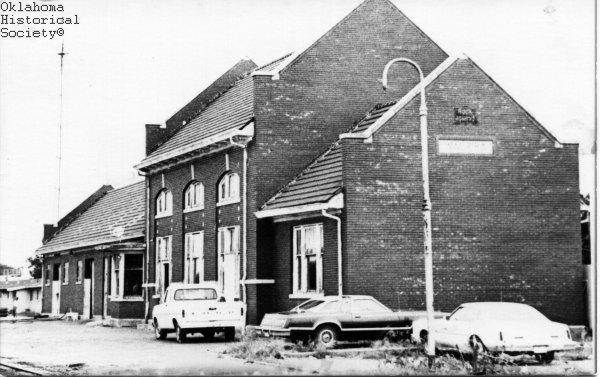 The restored depot now houses the public library. Seven Waurika newspapers are known to have existed. The first was the Waurika News, whose premier edition was published on September 18, 1902. Other past newspapers include the Waurika Telegraph and the Waurika Press. The Waurika News-Democrat presently serves the town, as it has since 1911. Waurika has a home rule charter form of government and grew from a town of 696 inhabitants in 1907 to 2,928 in 1910. In the December 28, 1906, issue of the Waurika News the editor predicted that the community's population would reach five thousand. In 1920 Waurika's population peaked at 3,204 and then declined. The 1930 and 1950 censuses reported 2,368 and 2,327 in habitants, respectively. By 1970 numbers declined to 1,833 before rebounding to 2,088 in 1990. The town had 1,988 residents in 2000 and 2,064 in2010. At that time cattle, petroleum, and farming were the leading sources of income, as they had been when the community was established. Waurika Lake, a 10,100-acre reservoir located four miles northwest of town, and the Chisholm Trail Historical Museum are local attractions. Jim M. Dyer, comp., History of Jefferson County, Oklahoma (N.p. : N.p., 1957). John P. Gilday and Mark H. Salt, eds., Oklahoma History, South of the Canadian: Historical and Biographical, Vol. 2 (Chicago: S. J. Clarke Publishing Co., 1925). "Waurika," Vertical File, Research Division, Oklahoma Historical Society, Oklahoma City. Sheridan B. Drowatzky, "Waurika," The Encyclopedia of Oklahoma History and Culture, https://www.okhistory.org/publications/enc/entry.php?entry=WA048.